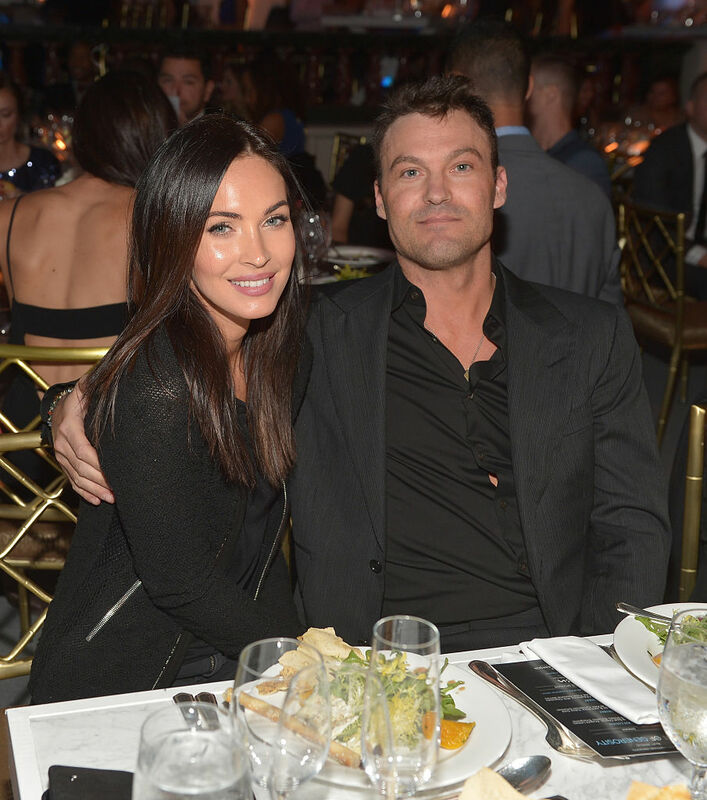 Megan Fox and Brian Austin Green are renting a house together in Bel Air after the estranged couple discovered she is pregnant with their third child. The estranged couple - who split last year but are reportedly expecting their third child together - are sharing a home in Bel Air, Los Angeles with their two sons, Noah, three, and Bodhi, two. A source told Us Weekly: "It's a small, unassuming house, but it's private and has great views. They are living together ... They do their day-to-day stuff like grocery shopping and taking their kids out together." However, despite the pregnancy and their new living arrangements, another insider told the publication that the pair are not planning to reconcile. It was previously reported that the pair - who filed for divorce in August 2015 - are thrilled about the pregnancy. A source said: "This pregnancy was not planned, but when they found out they were extremely happy. "Megan and Brian love being parents. They are working really hard to be together and one unit--not only for their children, but also for each other. They are looking forward for the arrival of their new baby. Brian has been a great partner and father." Jennifer Lopez dreams of "growing old" with someone and would like to marry for a fourth time. The 'On the Floor' hitmaker - who was previously wed to waiter Ojani Noa, dancer Cris Judd and singer Marc Anthony - reunited with Casper Smart last summer, almost a year after they split, and she admits she dreams of having a "long life" with a partner. She said: "We got together and broke up and are now together again. I still think about getting married and having that long life with someone. "I love the movie 'The Notebook'. A dream of mine is to grow old with someone." The 46-year-old singer struggled after her marriage to Marc ended in 2011 but worked to "make things right" for the sake of their twins Max and Emme, now eight. "When my marriage ended, it was not easy to find forgiveness. It wasn't the dream that I had hoped for, and it would have been easier to fan the flames of resentment, disappointment and anger. "[But] Marc is the father of my children, and that's never going away." The former 'American Idol' judge thinks she surprises people with how "smart" she is and constantly finds herself underestimated. She said: "People may now think I'm 'nice,' but they still act surprised when I'm smart. It's a man's world ... I feel like I'm constantly having to prove myself. Women have to do something remarkable over and over and over. People underestimate me ... it's fun to prove them wrong." Eddie Murphy and his girlfriend Paige Butcher are expecting a little girl and are set to welcome the tot into the world next month. 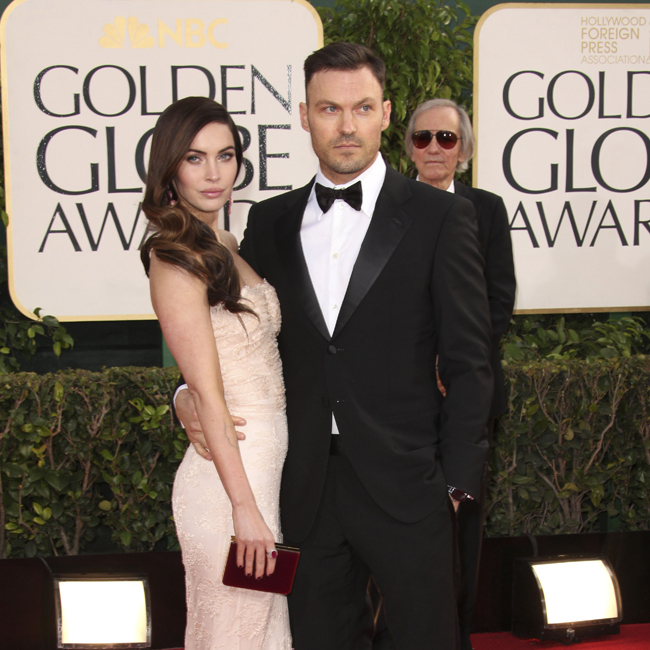 The 55-year-old actor has confirmed he and his Australian model partner Paige Butcher, whom he has been dating for three years, are to welcome a little girl into the world in May. When asked what they're expecting, Eddie told paparazzi while on a coffee run in Beverly Hills: "It's a little girl." The unborn tot will be Eddie's sixth daughter as he already has Bria, 25, Shayne, 21, Zola, 15, Bella, 13, with his ex-wife Nicole Murphy, whom he split from in 2006 after 22 years of marriage, as well as nine-year-old Angel with Mel B. The 'Shrek' star also has sons Miles, 22, from his relationship with Nicole, Eric, 26, with Paulette McNeely and Christian, 25, from his relationship with ex-girlfriend Tamara Hood. A source said when the couple's baby news was announced: "Eddie really is a family man and loves all of his children, so he's so excited about having another one on the way." And, although he will have nine children by five different women, it seems he wants all his kids to bond as one family. The source explained at the time: "Even though he has eight children by four different women, they all come together on holidays and for sporting events and hang out at his mansion as one big blended family."